Rustic weddings are incredibly fashionable in 2017 and into 2018 and we don’t see any indication that the trend will decline. Perhaps it’s because couples want to enjoy the natural environment in the locale they have chosen for their wedding. The venue possibilities for a rustic wedding are endless: barns, vineyards, farms, or any established venue that can create a rustic feel. Almost every state in the union is a possibility for a rustic wedding! How to create the perfect rustic wedding? 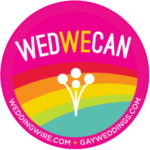 As with all wedding planning, the various aspects play a role in supporting the environment you have chosen. Flowers, catering, music, and attire will support your rustic wedding theme. 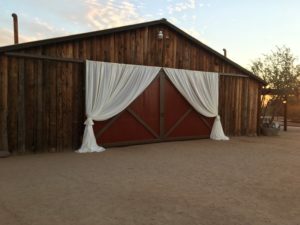 If you are looking for a quality venue in the Phoenix area perhaps you should consider the Rio Verde Ranch in North Scottsdale. When it comes to catering, farm table seating and family style dining is a perfect match. Picture long, beautiful tables laden with platters of wonderful fresh cuisine to be enjoyed by all at the table—a community of friends and relatives in attendance and seated at the tables to support the bride and groom. Of course, family style dining does not mean you minimize the service aspect. Servers are extremely important in attending to the guests to ensure that the platters are easily passed (larger platters) and that the food is always plentiful. What we love about family style dining is that it promotes conversation and as the name implies, it feels as if “family” is dining together! You’ll want to consider the season of your wedding. 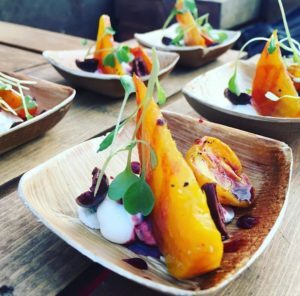 If it’s a Spring/Summer wedding then lighter fare, beautiful Spring vegetables, etc. would be most appropriate. Many brides and grooms still opt for traditional. plated meals. For a rustic wedding, the meal can be served either indoors (in the barn or other rustic facility) or outdoors. (in the vineyards, in the field, etc.). 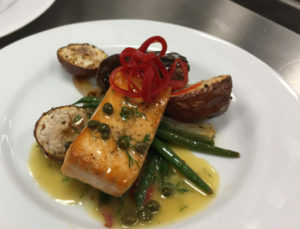 Options are plentiful for plated meals of course, and by participating in a tasting with your caterer you can make a decision on the specific items you wish to serve. 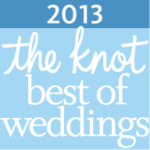 Be sure to check out all our themed menu options and sample wedding menus. With the popularity of signature drinks, a great rustic drink will certainly enhance the reception. Consider a cocktail that incorporates apple cider if the wedding is taking place at an orchard or farm. If the geographical region has a plethora of craft breweries, consider offering craft beers.And of course, fabulous wines perfectly paired with the cuisine is always an enhancement to dining. 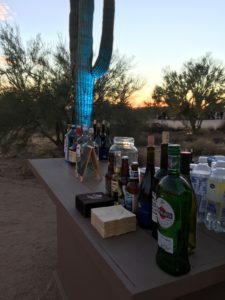 What will set the tone for your rustic wedding is the bar set-up. Utilize a rustic furnishing as the bar if possible and enhance it with appropriate candles such as lanterns and other accessories that evoke a rustic theme. In setting the tone for a rustic wedding, the attire of both the bride and groom as well as the guests certainly reflects the theme. There’s something about the juxtaposition of a beautiful, feminine wedding gown and tuxedos in a rustic setting that is breathtaking! 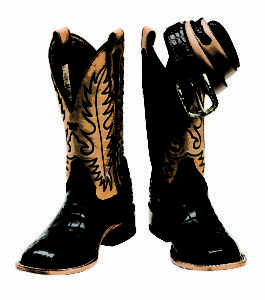 Needless to say, leather cowboy boots for the groom make a statement and of course, the bridal party could follow suit in wearing cowgirl boots like these. 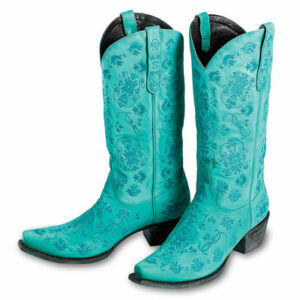 And how much more comfortable are boots for dancing?? Why not ask guests to wear boots as well? You might suggest guest attire in the invitation or website. If not suggesting boots, then the suggestion of wearing comfortable shoes is always welcomed by the guests if they have never attended a rustic wedding in the past. A good florist will have the expertise to create the perfect floral enhancements for a rustic wedding. For instance, in Arizona incorporating succulents is a natural! 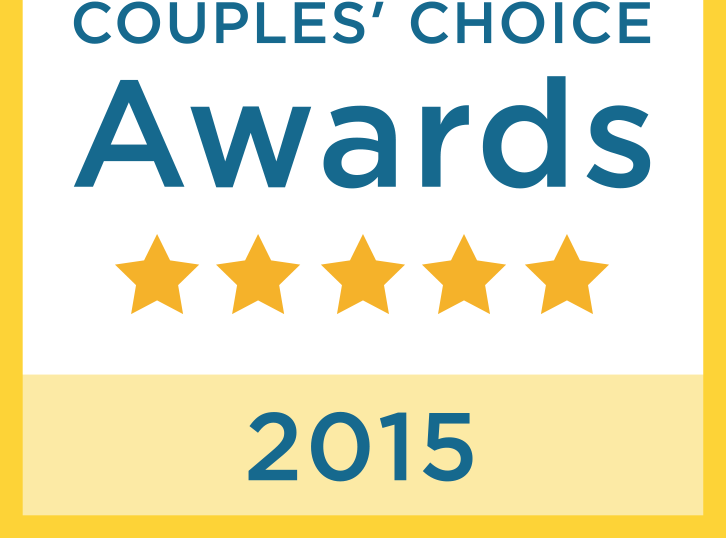 For a Texas wedding, the wildflowers, bluebonnet, and phlox might be a wonderful choice. If your wedding is in a meadow filled with beautiful flowers, a minimalistic approach would be best to allow the natural beauty to take precedence. 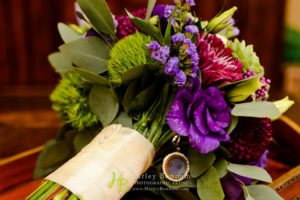 The season in which you are getting married has an influence in some states and the availability of certain flowers is dependent on the time of year. Needless to say, if it’s a winter rustic wedding, you would not feature “spring” flowers. Deeper color tones would be appropriate. Again, in terms of juxtaposition, classical music can be a wonderful choice for a rustic wedding ceremony. Think classical music in a barn venue! Music should reflect the personalities of the bride and groom and yet also reflect the overall theme of the wedding. Of course, when it comes to the DJ or band, make sure it’s music that will encourage all the guests to dance! As with all weddings, the beauty is in the gathering of family and friends. Relax and enjoy the day!